The Brooklyn Nets end their 8-game losing streak as they defeat the Toronto Raptors in an OT win. The Raptors are sitting comfortably as the 1st seed of the league, but they would fall to the Nets 106-105. The game was close through the first half as they closed the 2nd quarter tied at 53 points a piece; both teams stayed even offensively all the way through the 3rd quarter. As the 4th was underway, the Nets and the Raptors would fall back on aggression as they each scored less than 20 points to close the 4th. 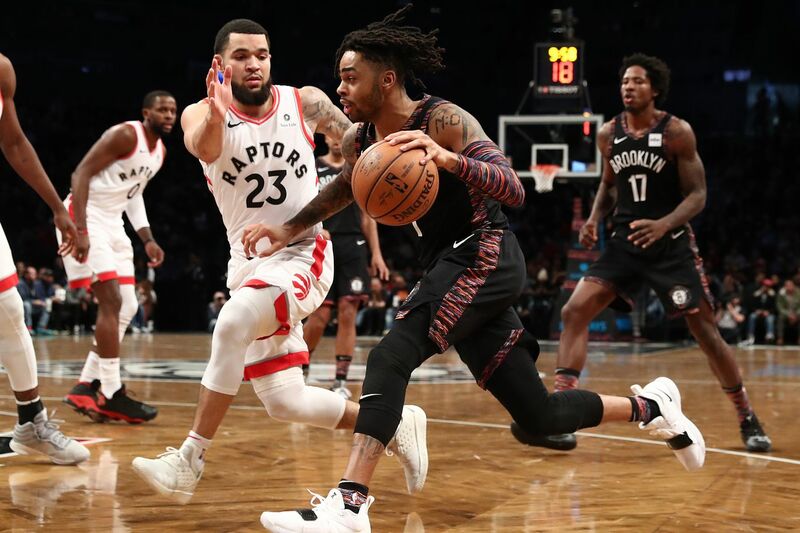 Though Spencer Dinwiddie would lead the Nets to a 7-0 run down the stretch, the Raptors would answer with a run of their own. Kawhi Leonard missed the go ahead shot in the final seconds to seal a win for Toronto, the Nets regained possession and looked to close out this game. Unable to score also, the clock expired and they would enter overtime. The Nets knew this would be their chance to come out with a much-needed win, and they only had 5 minutes to do it. In overtime the Nets would outscore the Raptors by 1 point (8-7), and though it almost slipped away from them, they would finally put this game away. [We] “Needed that. Really did. It was tough. We knew what we had to do to get it. So now we just got to keep going.” Said Russell. The Nets look to win back-to-back games as they take on the New York Knicks Saturday night in the Garden. D’Angelo Russell led the Nets, finishing with 29 points, 5 assists and 5 rebounds. Jarret Allen added a double-double; 12 points and 10 boards. Spencer Dinwiddie would finish the game with 17 points off the bench, also dishing 8 assists. He is also eligible for an extension at midnight.